Purchase Sign Panels and Riders | SignPost Install Inc.
We are asked all of the time if we also print sign panels and sign riders – We do not. But after years of doing this we have seen agents pour money into the cheapest panels they can find. And as they say, you get what you pay for. Often the panels are very thin metal and the holes are far too close to the edges. After literally one use on a panel for 2-3 months hanging the holes wear out and tear. So then the agent reorders them and adds grommets to extend the time this may happen. The grommets are typically poorly installed and separate but do add some life and maybe the panels and riders make it through 3 uses before starting to deteriorate. Whatever you do, spend the money on quality and you will be very happy you did. Since we are a local business we were very excited when we started to see some panels from agents arriving to us that were awesome. Great material, great quality and obviously built by someone that knew what was needed. And the better news is the business is local to Northern Virginia. 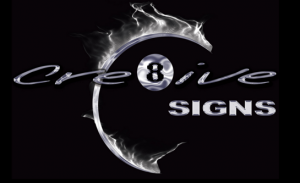 If you are looking for the best we would highly recommend Brent from Creative Sign and Design at 703.729.0200. He is located at 20735-B Ashburn Rd, Ashburn, VA 20147. We have no financial relationship with Brent or his company but love the quality of what he does. Feel free to tell him we sent you along. One thing, if you are looking for cheap, don’t bother. Brent only provides high quality and you do need to pay for that. But the cost per sign based solely on how much longer they will survive will provide a much lower cost per panel over time. Please login or create an account to purchase this product.